Marin French Cheese is an iconic brand and one of the oldest cheese producers in California. They wanted a look and feel that reflected their "down home" style. 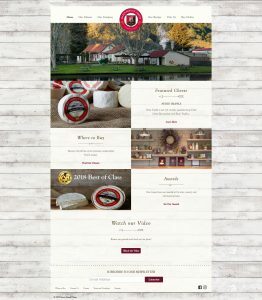 Working with their designers and brand manager, we created a website for them that showcases their products, location and history with an interactive timeline. The website is WordPress married to the eCommerce portion, which is is Shopify, and provides a seamless transition between both platforms. See Their Website Here. 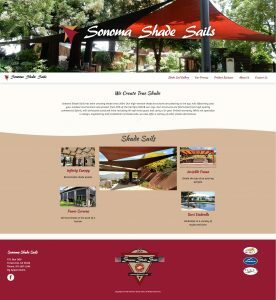 Sonoma Shade Sails had a dated look and feel to their old site and they had changed their branding considerably since their last build. The client wanted to showcase images of their installed products and locations with a number of types of images and galleries. 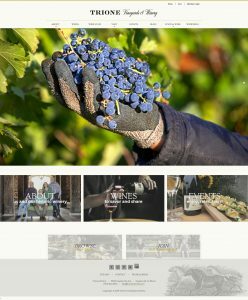 This WordPress site has some unique gallery presentations to showcase their wares. See Their Website Here.